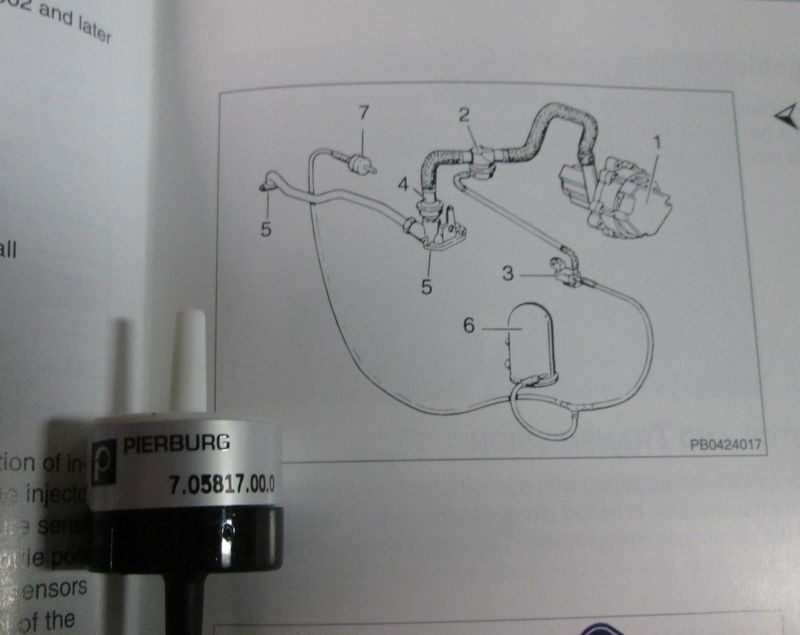 I've been trying to find the little plastic check valve for the Secondary Air system in my 1998 Boxster. I can't see it anywhere, and where I think it might be seems like it's under a lot of items to disassemble for such a simple part. 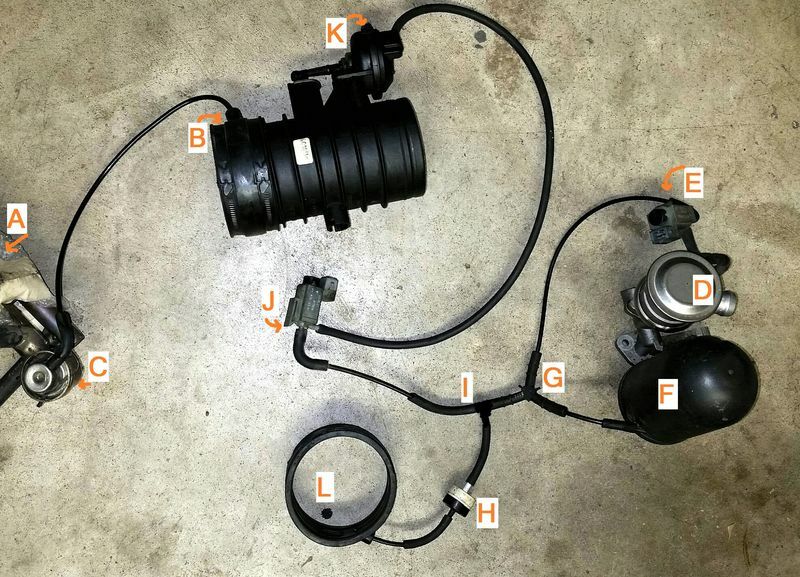 Is there an easy way to get at this part? There are no little plastic check valves. There is a metal vacuum actuated valve just under the intake manifold that can be easily removed without taking any other parts off. The other (check) valve, also metal, is further under the intake manifold and is best accessed from the firewall side (from inside the car), though you will have to remove the alternator. The electronic valve is near the check valve and is also accessed from the firewall engine access. There is a small one-way vacuum valve that I've bought from Pelican. It's number 7 in the diagram of the system in my Bentley manual. Here's a pic a made a while ago. The check valve is (H) in the pic and I probably put it facing that way (black end towards the intake) on purpose. 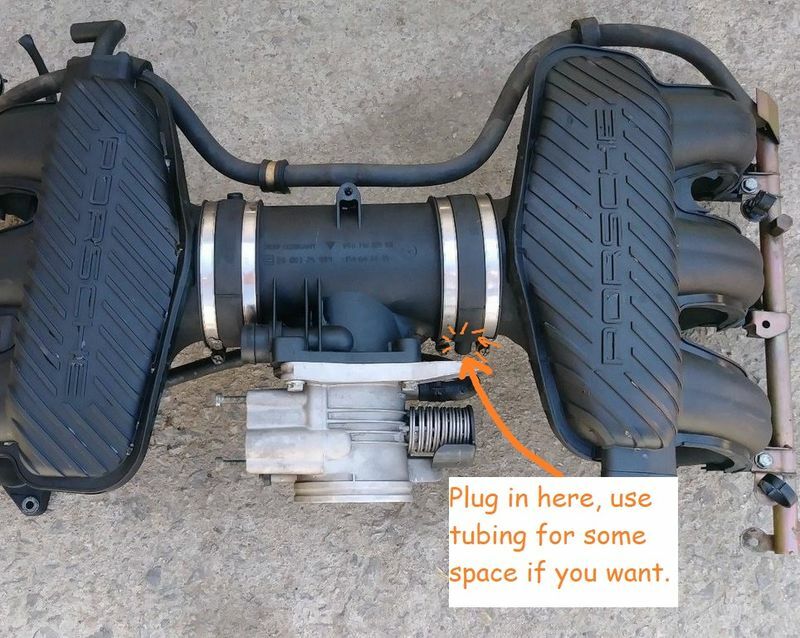 As stated, that valve is part of the vacuum system (not SAI) and plugs into the intake. Thanks a lot. Sorry for confusion in terms.